Midsummer, Patti and I visited the San Francisco Bay area. We had a great time. I’ve been a bit delinquent in posting photos, but better late than never. We drove up US 1 from Monterey to San Francisco and caught the sunset. The next day, we drove up to Muir Woods, a national park just over the Golden Gate Bridge. Parts of the woods were filled with spiders; others had no wildlife whatsoever. As we walked through the woods, we heard a knocking sound. After searching around, Patti saw this woodpecker. When we got back to the entry of the park, we used the books there to identify it as a Hairy Woodpecker. Muir Woods is a vacation spot for ladybugs. These two were having a grand old time. I used my Google phone as a GPS to map our trip with the MyTracks application. I forgot to start the app when we started our hike, we really started where the track ends. I meant to post these photos a while ago. In summer, I took a trip to the Bronx Zoo. One of my favorite places in the zoo is the Butterfly Garden. I love visiting the zoo and don’t go there enough. When you enter the garden, you are given a sheet showing all of the butterflies–it’s fun to figure out if you have seen them all. 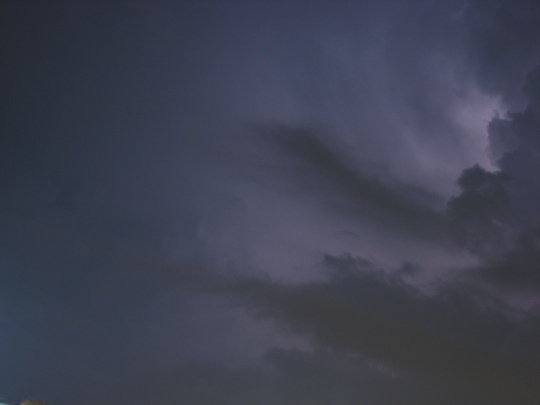 Earlier this summer on July 26, some huge storms whipped through the New York City area. I was at home when one of them came through. Later, tornadoes were reported in Staten Island and Brooklyn; I think I saw a funnel cloud in DUMBO as well. 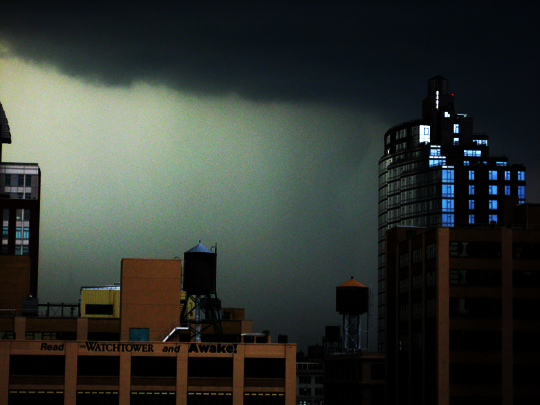 This is the view from my window of J Condo in DUMBO shortly before the storm began. If you look to the left of the tower, you can see an odd discoloration in the sky. I took the liberty of enhancing the photo to emphasize what may have been a weak funnel cloud. As the sky grew stranger and stranger, I decided to go up to the roof of my building to take a look at the view. 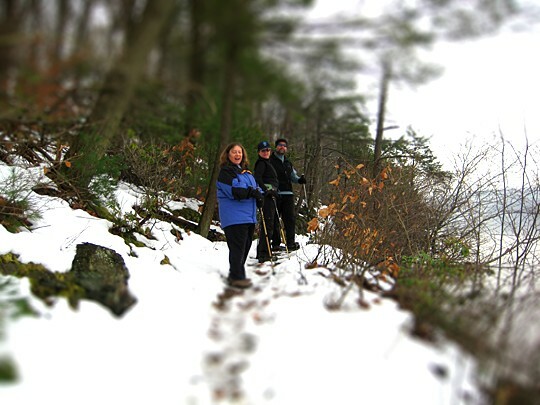 A family of four was there. 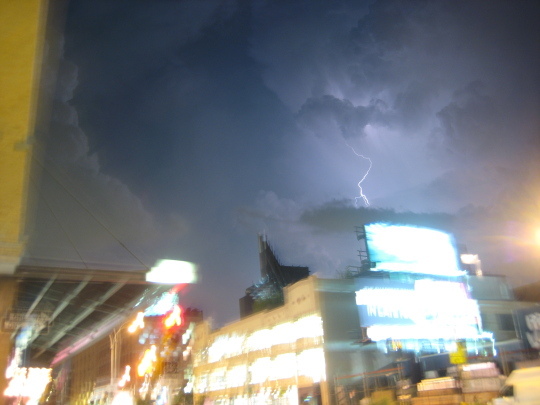 Shortly after they arrived we heard huge thunderclaps. The dad said that was that and after dragging the kids away from the metal kitchen vent pipes they went downstairs. I stayed up for around five or ten more minutes. 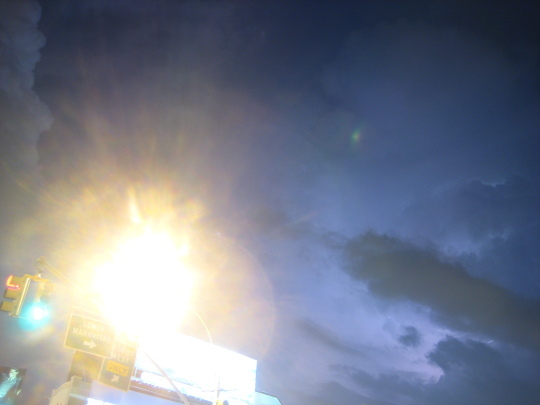 However, I was also freaked out by the loud thunderclaps directly above my head and practically ran inside. Shortly after returning downstairs, the heavens let loose a torrent of water. A friend of mine was driving in Manhattan at the time, and described having to pull over to avoid the wall of water coming down the street. As you can see from the photo, it was impossible to see Manhattan from my apartment. Less than 15 minutes after the rain started to fall the storm abruptly ended. If you were to look at the sky it was like nothing had happened at all. New York City was hit by a huge storm the night before last. I managed to get some photos from just outside of my office. Spring sprung into action today in Brooklyn and high 70s were an invitation to relax. 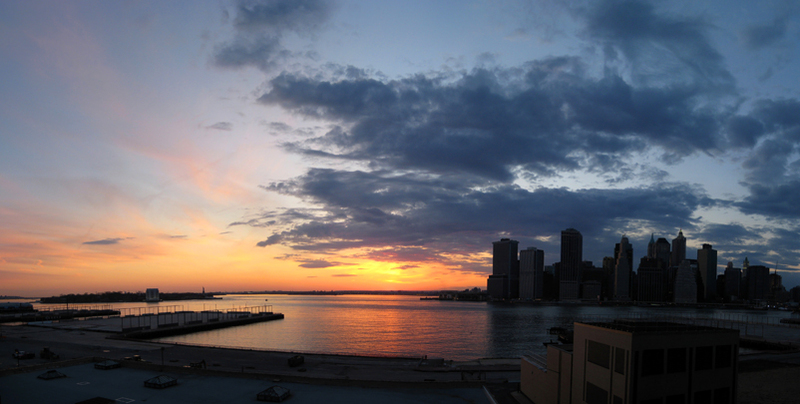 I strolled down to the Brooklyn Heights Promenade and was stunned by the colors of sunset. 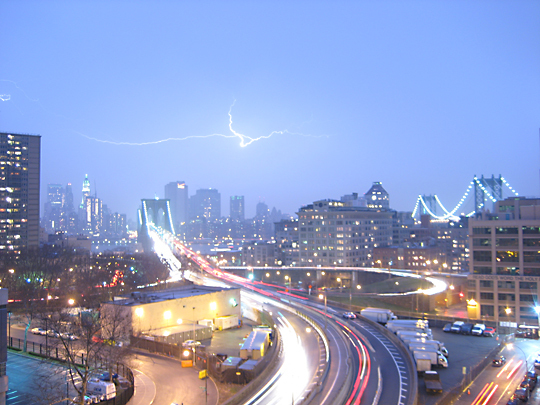 A thunderstorm buffeted the New York City region this evening and lightning flashed across the sky.